Falsies are definitely worth a try! Check the materials of the falsies. 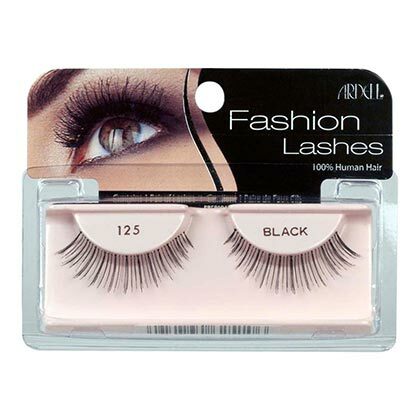 Falsies can be made from three different fibers: Synthetic, mink and sable, and silk. False lashes are not a "one-size fits all" product, but you can cut the bands to a length that will fit the width of your eyelids better. Trim the inner edge for a more comfortable wear. Also, your eye shape determines the right style and thickness of falsies you should wear. According to InStyle, deep-set eyes (think Ariana Grande) need a dramatic pair to balance out the "weight of your brow bone." For round eyes (like Katy Perry), a wispy shape with a wing will elongate your peepers. Hooded eyes (example: Blake Lively) can go for falsies with the longest follicles in the middle to draw attention "inwards" and create ~depth~. Those with monolids (like Suzy Bae) should opt for fluffy lashes to make the peepers appear bigger. Lastly, it's best for those with almond-shaped eyes (hi, Liza Soberano!) 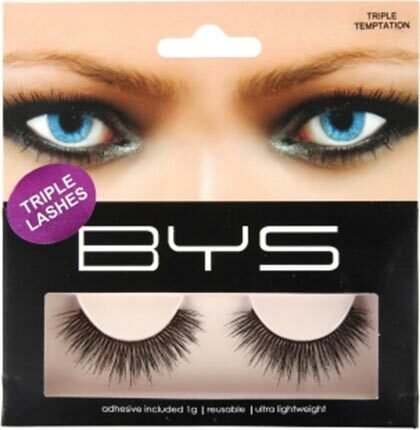 to go for a criss-cross shape for a doll-eyed look. Find one that fits your budget. Based on what we've seen in the local market, the price tag depends on the quality, materials, and the brand. 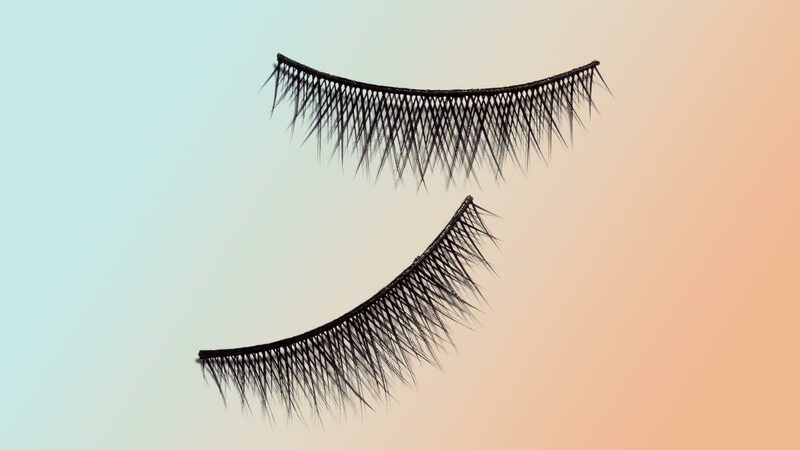 A pair of false eyelashes can be as affordable as P50 or as expensive as P3,000. Crazy, right? Learn how to properly apply them. Falsies are normally available in two forms: Individual lashes (a fave of wedding and celeb MUAs) and the strip (the user-friendly type). Below, we tell you how to properly put on each type. Using a pair of tweezers, gently remove the lash from the packaging. Squeeze a bit of lash glue on a clean surface (or the back of your hand) and dip the root of the lash in it. Wait for a few seconds until the glue becomes tacky. Next, using a pair of tweezers, place the band on the outer corner of your eye and attach it close to your lash line. Repeat the first three steps, but apply only on the middle and inner corners of your eyes until you have your desired thickness. When removing the lash from the packaging, gently tug on the ends until the whole band comes off or you could risk ripping it in half. Measure the lash against your eye. If you think it's too long, take note of the length of the excess and trim the inner edge. 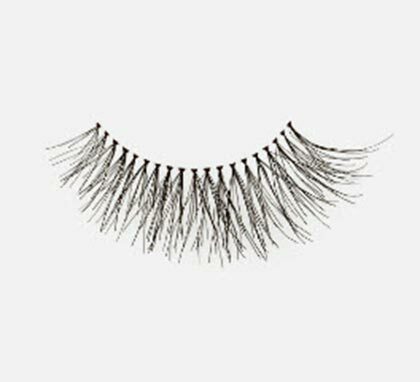 Once you have your desired length, apply lash glue on the band and wait until it becomes tacky. Using a lash applicator or your fingers, stick it in the middle of your lash line. Ed's Note: If you find that you always take a long time applying your falsies, don't worry! Just keep practicing and you'll be a pro in no time. Take care of each pair to extend its lifespan. Of course, you wouldn't want to waste a P3,000 pair of falsies after one use! Justify your purchase and maximize the cost-per-wear by taking extra care of each pair. With falsies, you have to be gentle, especially when removing them from your eye. According to StyleCaster, using an oil-free makeup remover will soften the glue and easily slide off the strip. Gently peel away the old glue. Place the lash between two cotton pads soaked in makeup remover. Carefully wipe away any remaining mascara with a cotton bud soaked in makeup remover. Place the lashes back in the box. If you haven't thrown out the lash's original packaging, store them there until you're ready to use them again. Alternatively, you may place it inside a clean box to prevent bacteria and germs from contaminating it. 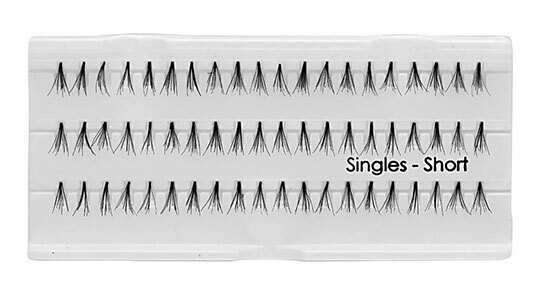 Now that you know everything there is to know about falsies, why not try some of these?